Contains a very high concentration of metallic zinc. Used as protection against corrosion. A form of cold galvanising. 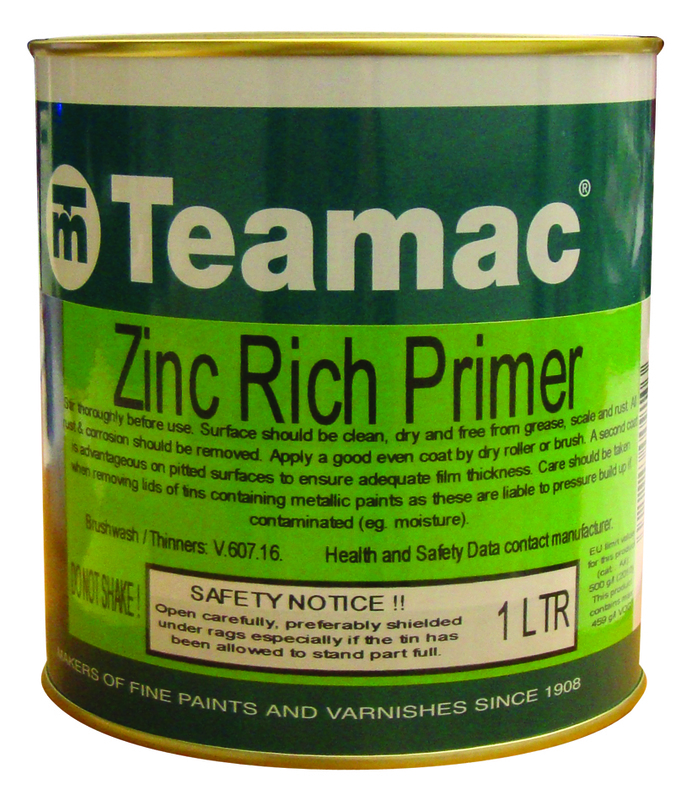 Teamac Zinc Rich Primer is for use on iron and steel as protection against corrosion. The coating must be in direct contact with the iron or steel to work correctly.